We were fortunate to have with us Mr. V.S Kumar, an IIMA alumnus, as a guest lecturer on October 30, a day full of learning on concepts based on finance. The eminent personality with 40 years of industry experience, instilled within the students the basic knowledge about finance from a company’s perspective. What we learn daily in our classes is not sufficient to cope up with the uncertainties associated to deal with the real-time financial aspects of a company. He gave us an insight about the changes happening in and around various industries and the various changes in the company’s acts and procedures. The lecture started with a small quiz, followed by an interactive session based on accounting conventions,journals, ledgers and final accounts. Many topics such as cash flow, fund flow and ratio analysis were also discussed. He also shared his own ideas and views, which is very valuable and enriching for us. 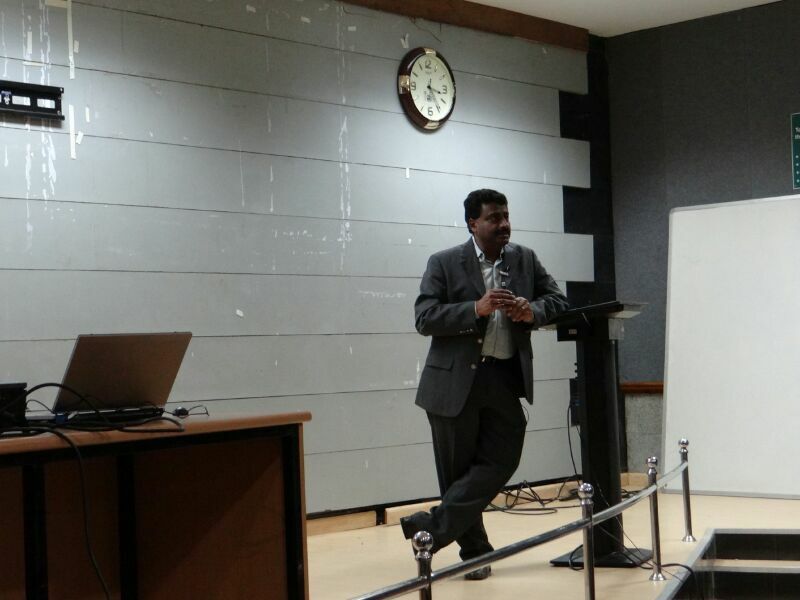 Mr. Sundar Rajan Director HR from Schneider Electric visited Department of Management Studies for a guest lecture. Schneider Electric and NIT Trichy shares a bond from past three years and this was a part of the same relationship that a knowledge sharing session was organized. Mr. Sundar Rajan began the session with an introduction of his company which is a 175 year old organization. Starting from its roots in the iron and steel industry, heavy machinery, and ship building, it moved into electricity and automation management. 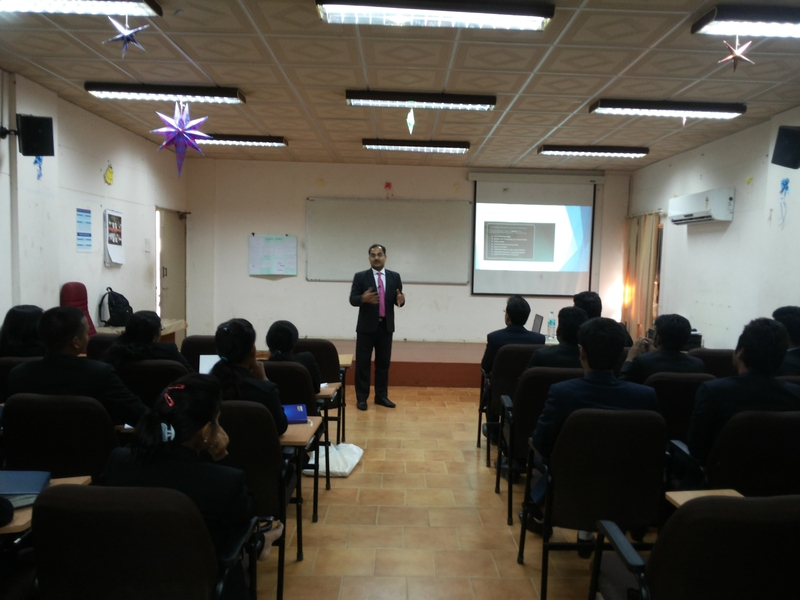 Mr. Rajan spoke on career trends and what we as new entrants in the industry can expect in the beginning. He also explained the importance of developing new skill sets and keeping yourself updated which will help one to maintain his employability. He emphasized on the difference in the career path of a generalist and a specialist. And why Schneider electric focus on mobility of employees from one department to another and may be country as well. He cleared many doubts after the session and helped students to understand various roles, responsibilities and growth prospects. 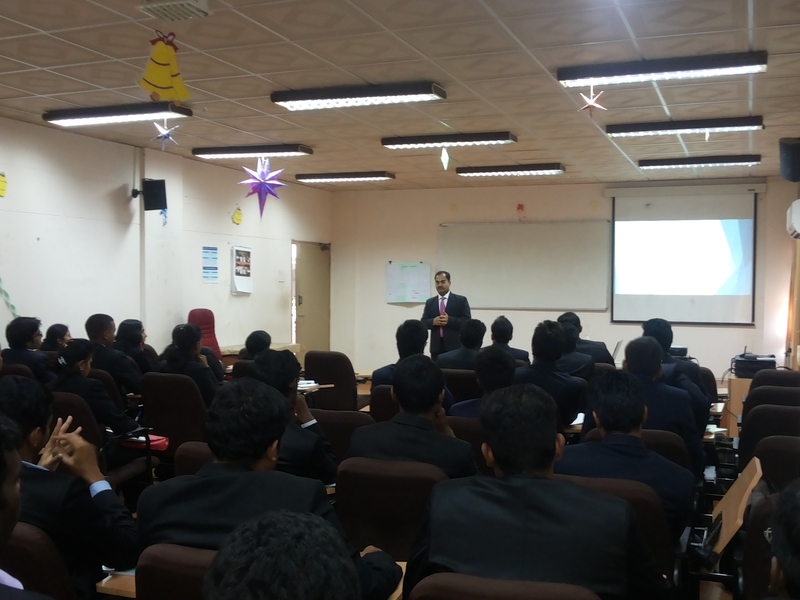 The session was thought provoking and gave the students a new angle to think over their career path. Department of Management Studies of NIT Trichy conducted a one day Marketing conclave, M-Pulse 2013. The event comprised of lectures from three prominent personalities from the industry and an event conducted by the marketing club, NISADYA of DoMS. The occasion was greeted by Dr. VJ Siva Kumar Associate Prof. DoMS NITT. After that our HOD DoMS welcomed the guests and emphasized on the importance of such conclaves in a MBA Curriculum. Dr. S. Sundarajan Director NITT addressed the gathering and highlighted the significance of interaction of students with industry people and their alumni considering the global competition which we are facing every day. The session started with the keynote address of Mr. Mitul Mehta, Vice president & Global Head-Marketing Accelya Kale Solutions Ltd. Mr. Mehta gave an insight on service marketing to the students. He introduced 7 P’s of service marketing which extended the 4 P’s concept. The three new P’s namely People, Process, and Proof were the key point of discussion of his session. He gave examples and case studies of companies which out grew their capabilities by taking care of these three factors. The next lecture was given by Mr. Austin PM, CEO, Max Value Univ. His talk was basically focused on Online Marketing and its nuances. He spoke on several methods of online marketing and how small companies are saving their cost and using this medium to advertise themselves. He spoke on how the companies are focusing on Facebook, Twitter and LinkedIn to build their image. The last session of the day was delivered by Mr. Dorai Thodla, Founder; iMorph Inc. Mr. Thodla exchanged his views on ‘Tools for Marketing for various levels of a Start up’. He shared examples of how different websites have given tools to access one’s online position and how a new company can leverage them to develop their marketing strategy. Largely the sessions were very informative and helped the students to understand the nuances of marketing industry and its developments in physical as well as virtual space.